Mrs. Nita Ambani, Founder & Chairperson, Reliance Foundation and Member of International Olympic Committee today called for inclusive growth of sports in school curriculums to herald India as a multi-sports nation. Mrs Ambani was accompanied by Hon. Chief Minister of Meghalaya Sh. Conrad Sangma and NorthEast United FC owner John Abraham here at Shillong to watch the final of School Girls category played between Nongkrem Presbyterian Secendary School and Nongkrem HSS. Reliance Foundation Youth Sports is a step in seeking to build a grassroots sports eco-system with an aim to propel India into a multi-sports nation. “I strongly believe that education and sports go hand in hand in shaping our youth. RFYS aims to develop a sporting culture in India through the medium of educational institutes. 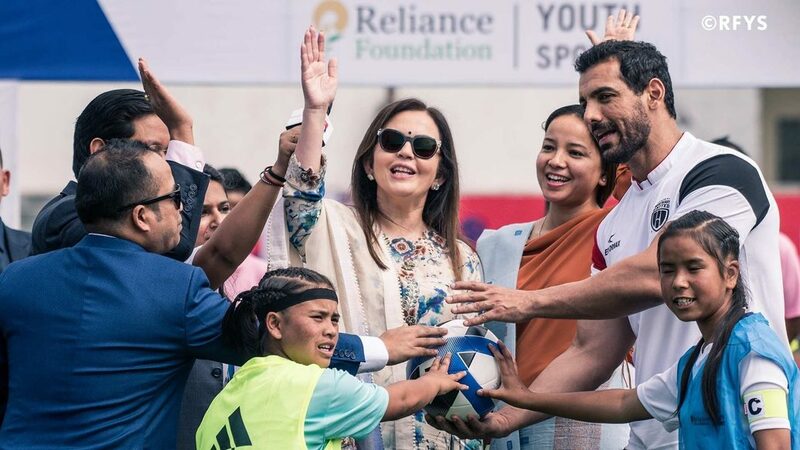 We endeavour to make sports more accessible to the youth of India,” said Mrs Ambani committing to transform India into a multi-sports nation in the not too distant future. Speaking about the North East’s contribution to sports in India, Mrs Ambani said, “North-East occupies a special place in the heart of every Indian sports-fan. It is the home to some of the most recognised international athletes India has produced. Mrs Ambani seeks to build a grassroots sports eco-system in the country that will not only encourage kids and youngsters to take up sport but will also provide every child a platform to nurture his or her talent. Through RFYS programs, Reliance Foundation aims to enable the school and college ecosystem by supporting the development of infrastructure, training program, running specific initiatives to engage parents, principals, physical education teachers and students. “We are aiming to create a unified sports structure through RFYS and have a holistic plan for all major Olympic sports. We would like to provide viable sports career opportunities for the youth of our country,” she added. Reliance Foundation Youth Sports conduct school and college competitions in football and athletics across 60 cities in India. 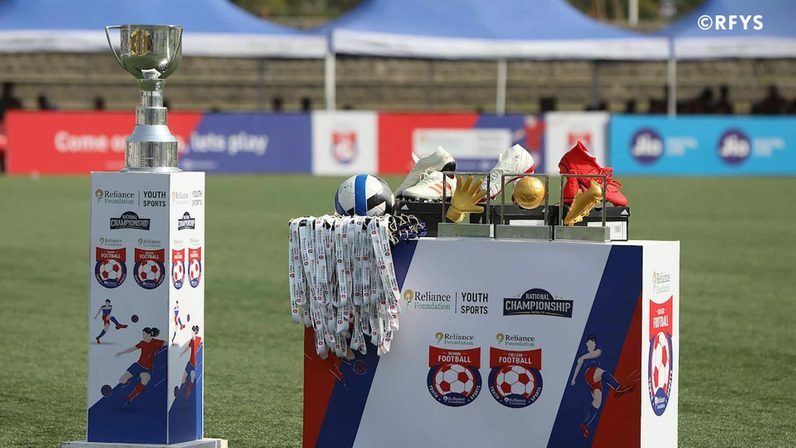 In 2017, 4 teams from Shillong had reached the RFYS National Championship with Umthli Secondary School being crowned the winners. 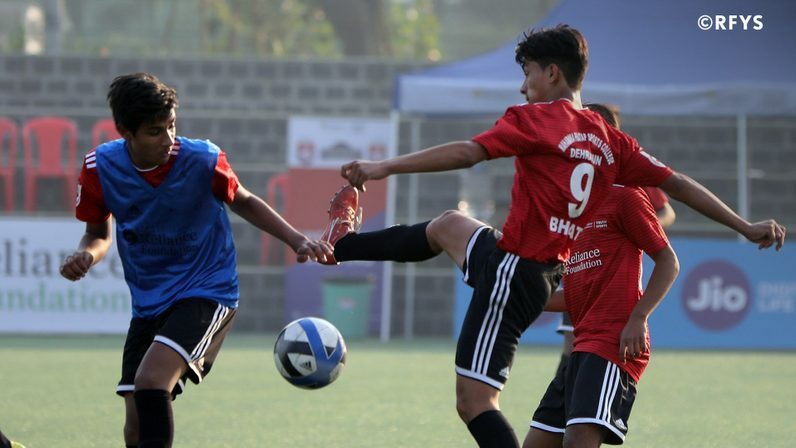 In association with Meghalaya Football Association, RFYS has expanded to three more districts in Meghalaya – Ribhoy, Jowai and Khleiriat in 2018 with participation from over 100 teams. RFYS has also expanded deep into the states of Mizoram, Manipur and Assam.